Speer Ammunition is the choice of more law enforcement officers than any other brand. With the company’s focus on high-level reliability, accuracy, and terminal performance, it is easy to understand why. The Speer Lawman line of ammunition was developed to provide a practical and realistic round for range training. 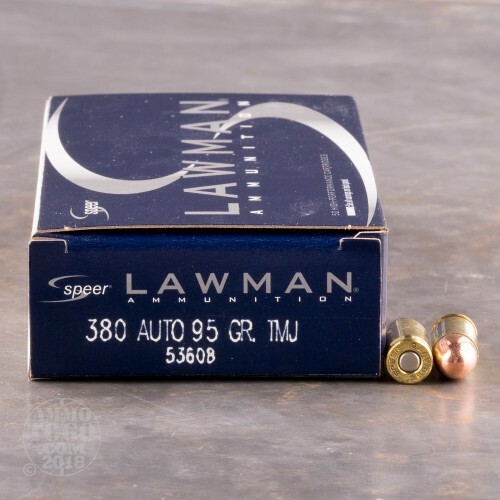 Engineered to deliver the same feel and point of aim as many premium self-defense loads, Speer Lawman is the perfect option for target and tactical practice. 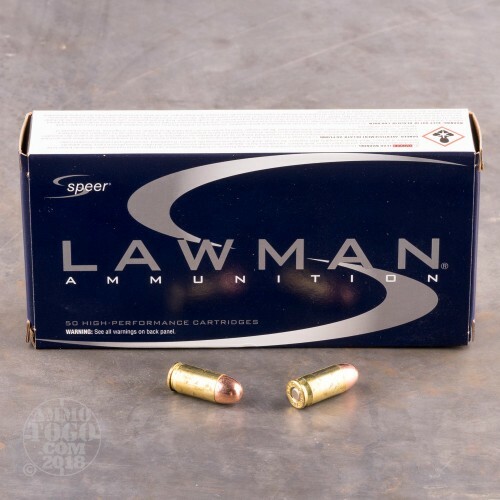 This package contains 50 rounds of Speer Lawman .380 Auto ammunition. Each cartridge is loaded with a 95 grain total metal jacket (TMJ) projectile. 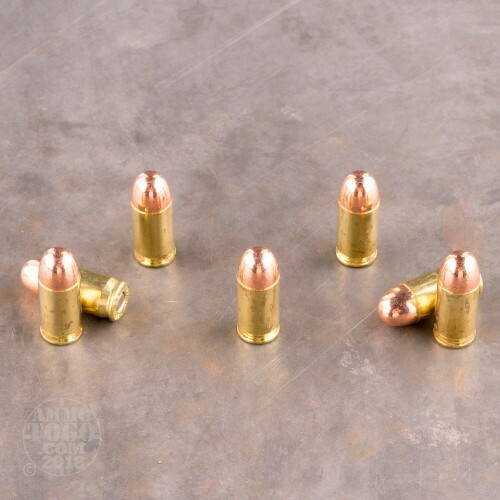 Delivering minimal terminal expansion, these bullets are perfect for range training, target, shooting, and tactical drills. Each round produces a muzzle velocity of 950 feet per second and a muzzle energy of 190 foot pounds. This ammunition is factory fresh, non-corrosive, and boxer primed. 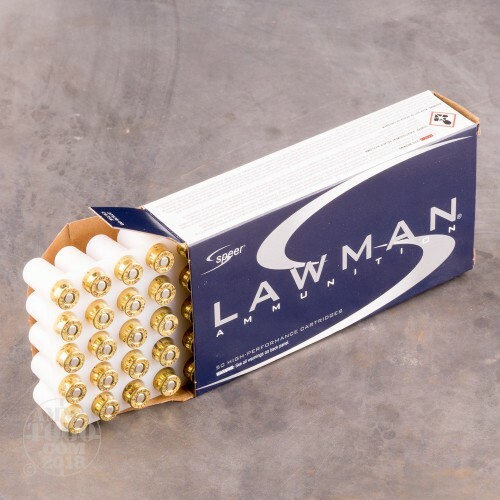 Featuring traditional, high-quality, reloadable brass cases, these Speer Lawman rounds deliver the performance of premium ammo for a fraction of the cost. Indoor range fired 300 rounds of Speer Lawman .380 ACP in my Glock Model G-4.2. Free-hand, this combination was flawless. At 10 yards, this combo was dead-on. The slide was stiff and took an effort to rack a round. After the shoot, the G-42 appeared nearly as clean as it was when I started. The barrel was clean.